Meanwhile lets just say that we are proud Diana contributed a whooping 94 entries. 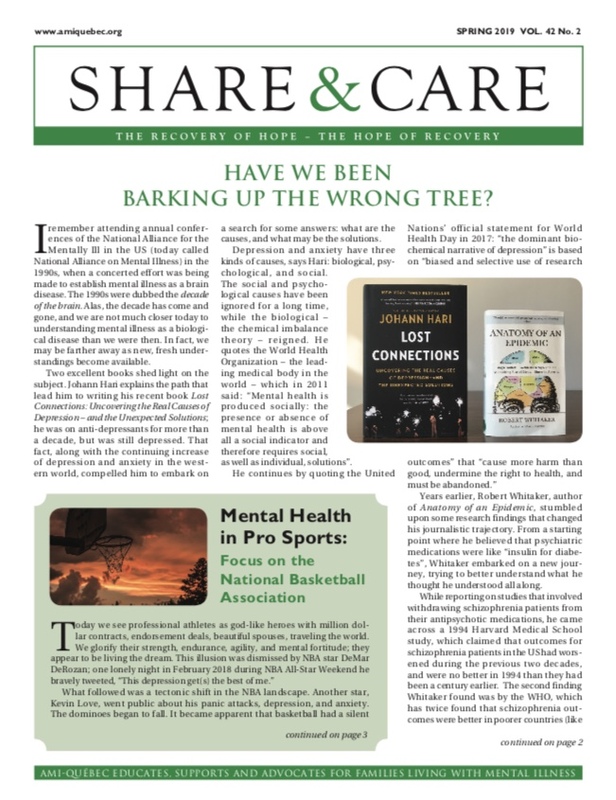 Check out the Winter 2019 edition of our Share&Care newsletter. Our Annual Report is a snapshot of our 2017-18 year. Find out about our programs and the people who make it all possible. AMI has YouTube and SoundCloud channels, both available 24/7. Find all kinds of mental health information. A variety of treatments exist for mental illnesses. Learn about them at a free workshop! Caregivers! Learn about the various types and characteristics of each mental illness and how they can be treated. If you are a student and need help with your mental health, one of the best places to start is your school. We have listed a selection of Montreal-area universities and CEGEPs here, but you can always speak to your guidance counselor or ask a teacher for help. Dedicated to solving one of the stickiest worries for caregivers: how to deal with stressful situations and keep harmony in the family. This workshop looks at how we grieve mental illness and the losses associated with it; how we can adjust our hopes and expectations and accept what exists in the present moment.